CFS – One Billion Hungry: Can We Feed the World? Food is often in short supply. The availability of and access to food is also, and has always been, highly political. 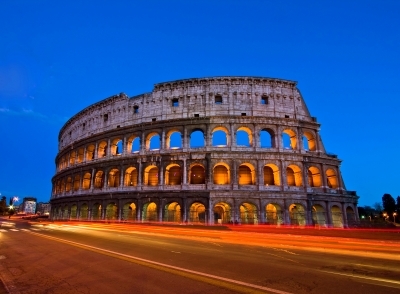 Poor wheat harvests imported into Rome between 56 to 58BC led to grain shortages and fluctuating prices. As a result the Roman mob became volatile and “on one occasion crowds besieged the senate and threatened to burn the senators alive, apparently encouraged by the tribune Clodius who had passed a law increasing the number of people entitled to subsidised grain” (excerpt from Gordon Conway’s book ‘One Billion Hungry: Can we feed the world?’). Today food security is equally political and the 2007/08 food price spike led to political and economic instability and social unrest in both poor and developed nations. In Bangladesh, 10,000 workers rioted close to Dhaka, smashing cars and buses and vandalising factories in anger at high food prices and low wages. In Burkina Faso rioting broke out in the country’s second and third largest cities over food price increases of over 65%. In Cameroon large scale rioting in protest against inflating food and fuel prices saw at least seven people killed in the worst unrest seen in the country in over fifteen years. And the list goes on with unrest seen in Côte d’Ivoire, Ethiopia, Haiti, Egypt, Indonesia, Mozambique, Senegal, Somalia and Yemen. Russia and Mexico froze food prices to avoid public backlash, the Pakistan government deployed military to protect food reserves from being seized and Brazil announced a temporary ban on the export of rice.